There is hardly a child in America who did not have hamster as a pet. It will not be a mistake to say that hamsters are no less popular than cats and dogs. What is more, they are universal pets whereas they do not require much space and special care. Some families cannot afford having cats and dogs at home inasmuch as these animals require attention, love, medical care and much food. Moreover, they can spoil furniture and change the entire microclimate of your home. Hamsters are completely different. They can live in a small cage and they hardly influence the smell of your apartment. You do not need to purchase expensive food because they consume seeds and dry fruit that cost nothing. Although hamster is a popular pet, very few people know about the biological and social features of these animals. Hamsters are rodents, which encounter more than 25 species living in different parts of the world. The most popular species are Syrian, Russian and Chinese hamsters. When we focus on the social behavior of hamsters, we will see that these pets are not so easy for understanding. The majority of hamsters are solitary and they avoid living in groups and couples. When they have to live together, they can even fight to death. Moreover, there is intersexual aggression between male and female hamsters if they live together a lot. On the other hand, male hamsters are often devoted to their females. When they are separated, they are depressed, inactive and begin to suffer from obesity. Then, when a female hamster stays long with her litter, there is a risk of cannibalism. Thus, you need to separate your female hamster and her litter when they are able to live without their mother. Hamsters are inborn diggers that use their legs and teeth to dig long underground corridors. You should know that hamsters live underground. They make nests on the depth of about 70 cm. Long galleries and tunnels serve as exists and enters to their nests. 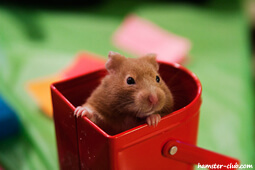 Despite pet hamsters live in a cage, they do not lose their burrowing instinct. If they receive an opportunity to live in the natural environment, they will dig perfect tunnels and nests. These rodents are supposed to be nocturnal creatures that sleep during most of the day and increase their activity at night. However, this statement is not exact. They are crepuscular animals who are active an hour before the sundown. You have definitely noticed that your hamsters run around the cage late in the evening when it is a bit dark. At night, they return to their nests and remain inactive. 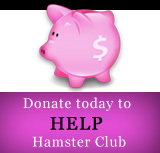 Apparently, pet hamsters have to get used to the lifestyle of their masters. When you are at home during the day, you can notice that your hamsters are not sleeping. At the same time, they do not sleep at night if you lead nocturnal lifestyle. 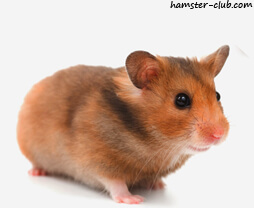 If you want to breed hamsters, you ought to understand that their breeding season lasts from April to October. Your hamsters can produce about four litters during the season. One female hamster can produce up to 24 pups at once. Without question, the number of pups depends on the specie of hamsters. Russian dwarves are too small to produce so many pups. Different species of hamsters look differently. They can differ in color and size. There are black, black and white, white, brown and orange ones. Moreover, there are several longhaired varieties of hamsters whose fur is several centimeters long. Needless to say but they require additional attention and special care. In fact, such splendid and curious species participate in various pet shows and win prizes. 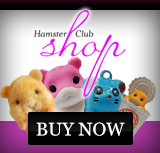 Many people breed curiously looking hamsters and sell them for money. Hamsters and amusing pets. When you cannot afford keeping a cat or dog, hamster in the best choice. If you do not like fish and parrots, you can choose hamsters for their active and funny behavior. Without doubt, hamster is supposed to be the best first pet of your child. When your children want to try themselves in the role of a responsible master, they should start with hamsters. If they manage to look after them well, they are ready to keep bigger pets, like cat and dogs. Children can learn how to be responsible and attentive taking care of their small pets. 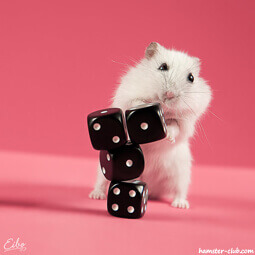 The biggest disadvantage of hamsters is their short life. Unluckily, they do not live more than two or three years. Hamsters and amusing pets. When you cannot afford keeping a cat or dog, hamster in the best choice. If you do not like fish and parrots, you can choose hamsters for their active and funny behavior. Without doubt, hamster is supposed to be the best first pet of your child. When your children want to try themselves in the role of a responsible master, they should start with hamsters. If they manage to look after them well, they are ready to keep bigger pets, like cat and dogs. Children can learn how to be responsible and attentive taking care of their small pets. The biggest disadvantage of hamsters is their short life. Unluckily, they do not live more than two or three years.